In their book Little Minnesota in World War II, Jill A. Johnson and Deane L. Johnson tell the story of more than 140 soldiers from tiny Minnesota towns—places with a population around 100—who served in the armed forces, and died, during World War II. Today they remember Robert Lawrence Forsberg. When Robert trained as a Hospital Corpsman, he joined an elite group of navy medical personnel. During World War II, Hospital Corpsmen gave heroic service to their marines under harrowing conditions, and marines held the highest respect for their “docs.” The bond between marines and their corpsmen remains strong today. U.S. forces were determined to capture the Mariana Islands, as doing so would allow Allied B-29 bombers to strike all the way to Japan. Saipan, an important supply base 1,250 miles from Tokyo, was top priority. On D-Day, June 15, the 2nd and 3rd Marine Battalions, 8th Marines, arrived on Saipan to face intense fire from 25,000 well-concealed Japanese soldiers. 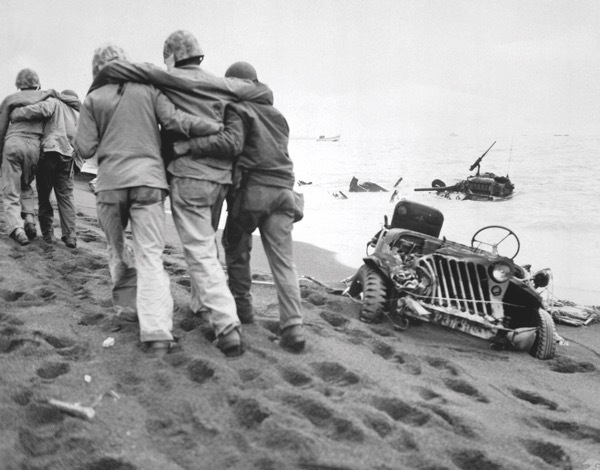 Navy Corpsmen Robert Forsberg and Samuel Culotta were among the first wave of marines to land on shore, where they found the beach littered with dead and wounded men. The corpsman’s job, Culotta explained, was to stabilize the wounded until they could be taken to hospital ships: That’s what we were trained to do. We corpsmen had a saying: ‘If you were alive when we got to you, you stayed alive.’ I still think about Saipan, because it was the worst one. Culotta survived nine Pacific landings. Casualties were extremely high the first day, with more than 1,300 men killed or wounded in action and 300 men missing in action. The next day, Corpsman Forsberg and his 2nd Battalion renewed their attack; during the battle, he was killed. 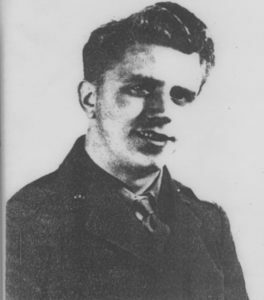 On May 15, 1945, Pharmacist’s Mate First Class John Kelley wrote to Robert’s mother: I became acquainted with Bob at New River, early in November of forty-three, and found him to be the type of friend one seldom finds, but always looks for. A great sense of humor but what I liked most, he wasn’t afraid, if you’ll pardon my slang, to call a spade a spade. If you’ve got the details as to how it happened I’m positive that it was in helping a buddy with absolute disregard for himself. Colonel Joseph Alexander wrote about the Navy surgeons and corpsmen who traveled with the assault units in anticipation of heavy casualties. Off shore, three Tank Landing Ships, used as provisional hospital ships, and four regular hospital ships, including USS Solace, took care of the wounded men, but: As usual, it was the navy medical personnel ashore who paid the highest price for this support. A total of 414 surgeons and corpsmen were killed or wounded at Saipan, 8 times the number for Tarawa. Robert Lawrence Forsberg is memorialized at Courts of the Missing, National Memorial Cemetery of the Pacific, Honolulu, Hawaii; at the American Memorial Park, Saipan, Northern Mariana Islands, which is overseen by the U.S. National Park Service; and at St. Gall’s Cemetery, Tintah. Tintah American Legion J.F.B. 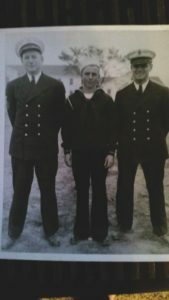 Post is named in honor of Pharmacist’s Mate First Class Robert Forsberg, Machinist’s Mate Second Class Clayton Johnson, and Private First Class Sylvester Beckman. Robert’s sister, Marie, and her husband, Herman Gronwold, later owned and operated the Blue Castle Café in Tintah. Stay informed about all our books and sign up for our newsletter now! Photos of Robert Forsberg and letter courtesy of Gerald Forsberg, son of Adolph Forsberg “Wounded Marines are helped by corpsman” photo, courtesy of U.S. Marine Corps via U.S. National Archives.